I’m a wife and a mom, a cancer survivor, and a believer in miracles. I started writing after my mom passed away in November 2007. I had a revelation as I watched her fight her battle that I didn’t want to get to the end of my road and not have pursued the dreams of my heart so I began to craft my first novel. When I was diagnosed with ovarian cancer in 2009, I got another reminder that time is precious and gained even more motivation to fulfill my dream of being a published novelist. 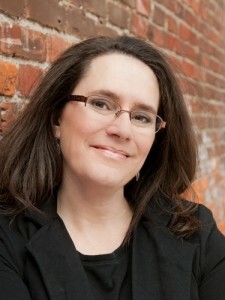 I got involved in writer’s groups, worked hard on my craft, and met my critique partners. Writing Dangerous Ally has been a great experience, and I’m enjoying putting the pieces together on Game Changer, my second novel, right now. Oh, and in case you’re wondering, through God’s grace, I am completely cancer free three years later. That miracle is a whole other story. My husband just jokingly said that I spend my non-writing time thinking about writing. He’s quite the humorist. Seriously, I love to read or hang out with my peeps. Nowhere else I’d rather be than with them. I do forty hours a week as a freight broker. I haven’t yet, knock on wood. My biggest challenge to writing is structuring time for it and staying firm to that commitment when other things try to crowd in and steal the time. I’m definitely a plotter. I have to know the beginning, a few things about the middle, and at least an idea of the ending before I get very far into it. My characters are free to throw me a few curve balls though, and they usually do. I grew up reading many different kinds of romance but my favorites have always been Regency-era historicals and contemporary romantic suspense. I have numerous favorites including Carla Cassidy and Judith McNaught, but I’d say the author who had the biggest influence on my writing style and my continued love of reading is Julie Garwood. I’ve loved pretty much everything she’s ever written. How did you come up with the title to your book? I have awesome critique partners. Honestly, the title came from them. We were brainstorming one day and as soon as the words were spoken, we all looked at each other and said “Yep, that’s the one”. Caleb is a good guy who made a bad decision for all the right reasons. Or so he thought. And he’s definitely dangerous to Lacey’s peace of mind. Are there any occupational hazards to being an author for you? My family is super supportive of me as a writer. If they weren’t, I’d have a huge hazard to overcome – guilt over the time I spend writing. Other than that, I haven’t encountered any major hazards along the way. Of course, I’m early into the journey so that’s subject to change. Mountains or Beach – Hmmm…that’s a tough one. I LOVE to travel. I used to say mountains, hands down. But I’ve had the opportunity to relax at some pretty awesome beaches, so it’s kind of a toss-up at this point. Spa Vacation or Backpacking adventure – Probably spa vacation, but I could live without either. Tea or Coffee – Tea, usually. Dog or Cat – Definitely dogs. We have four! Drive or be the passenger – In a car, I prefer to be the passenger. Better to watch the scenery, and I can get so much more done. In life though, gotta be the driver. Denise & Heather – thanks for the welcome into this great community of writers and readers! I appreciate the opportunity to share about myself and of course, Lacey and Caleb! Hello Michelle! Love the book cover and title! Have a supportive family when spending so much time away from them doing the writing thing makes it so much easier. Happy wordssmithing! Hi Michelle! 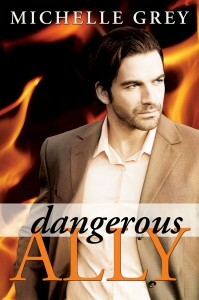 The cover of Dangerous Ally definately grabs you – great job. It’s wonderful you’ve been able to turn some seriously hard times in your life into motivation to live fully. I’ve got a day job as well, and can appreciate how difficult it is to make time for work, family, writing and, somewhere in there, yourself! Cudos on publishing the book and staying focused on #2. Thanks very much! That’s the great thing about doing what you love – it rarely feels like work. Also started reading Regency romances and got hooked on romance books! Nice to know more about you…good luck with your writing!